Subject to terms and conditions set forth herein, doors manufactured by: Hume Doors & Timber (Aust) Pty. Ltd., Hume Doors & Timber (Qld) Pty. Ltd., Hume Doors & Timber (Vic) Pty. Ltd., Hume Doors & Timber (SA) Pty. Ltd. or Hume Doors & Timber (WA) Pty. Ltd. (hereinafter referred to as “the Company”) are guaranteed by the manufacturer for five years from the date of shipment by the manufacturer to be of good material and workmanship, free from defects which render them unserviceable or unfit for the use for which they were manufactured. Timber is from a responsible resource that is non-toxic, reusable and versatile. The continued growth and planting of forests aid in the reduction of carbon dioxide. 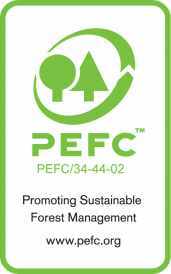 The future of our products, business, industry and customer satisfaction is directly linked to the responsible management of the world’s forests. Moulded panel embossed MDF pre-primed faces. Woodgrain or smooth skin depending on model. Solid stile and rail construction. Moulded panel embossed MDF pre-primed faces both sides. If you would like more information on Hume Doors & Timber products, please fill in this form and will get back to you as soon as possible.